I visit Canterbury in Kent on a regular basis but for some reason I had never noticed The Beaney museum before. For those like me who weren't aware of this place, it is an art museum and library that showcases some brilliant exhibitions and holds a brand new library as well as learning facilities and interactive events for all ages. 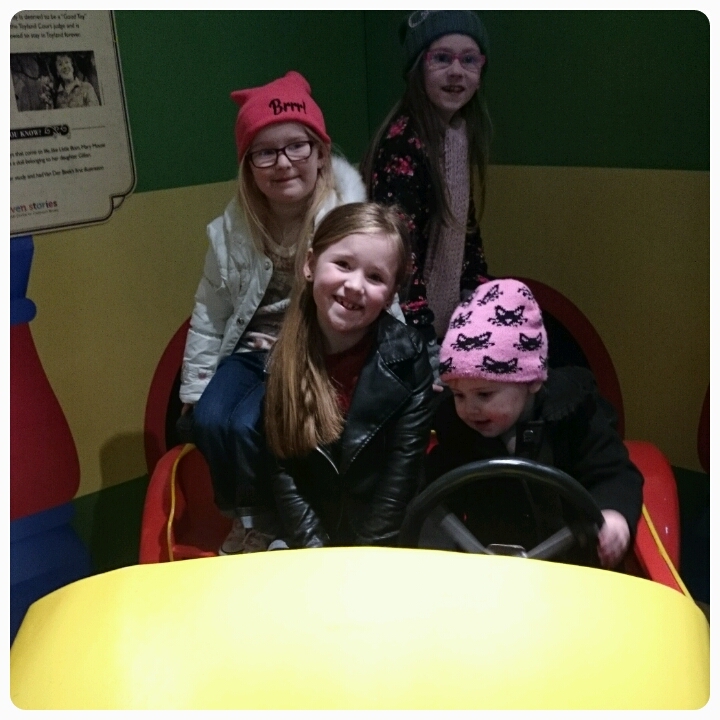 My girls and I were recently invited to the opening of the brand new Enid Blyton exhibition. 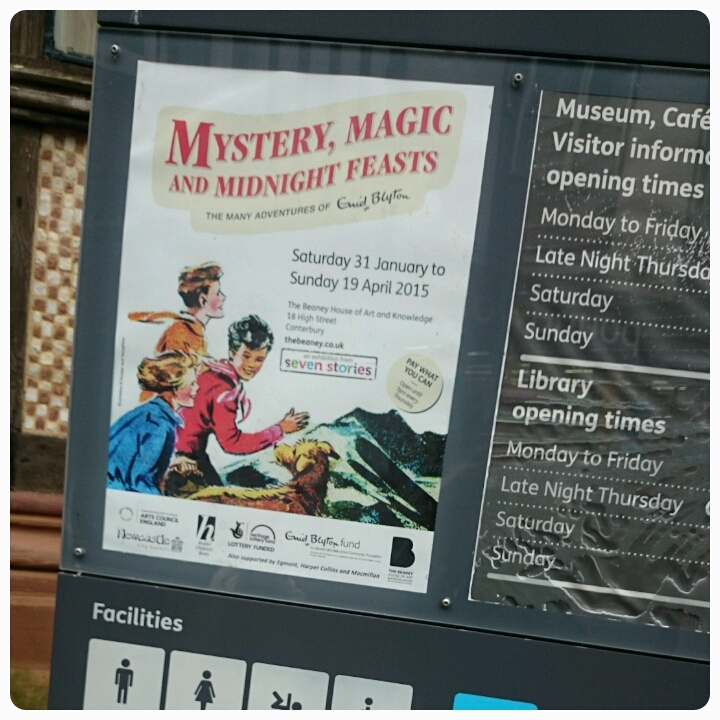 Mystery, Magic and Midnight Feast, The Many Adventures of Enid Blyton is running from the 31st January to the 19th April 2015. My eldest daughter was extremely excited as she is a huge fan of her work, especially the Malory Towers collection. I personally remember not only reading her books but watching the TV series based on the stories on the television too. 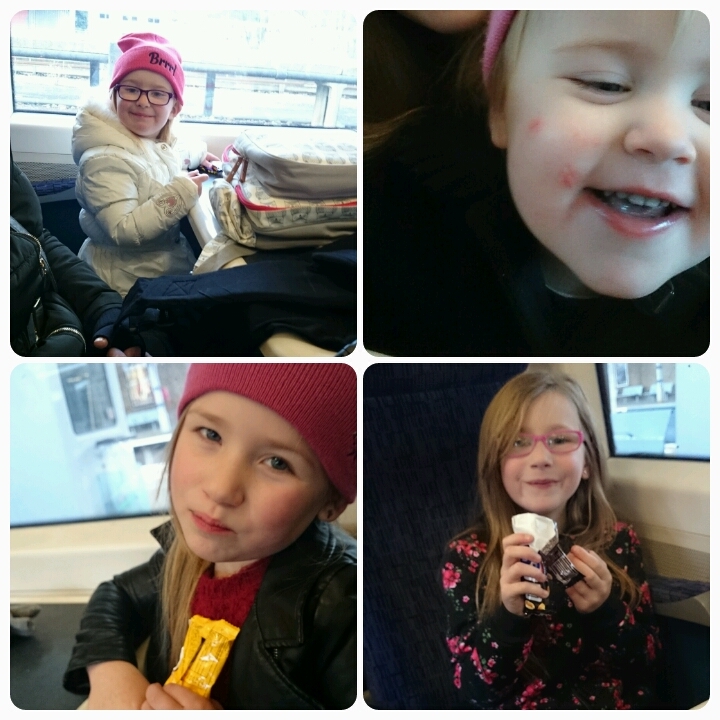 This trip was exciting straight away because daddy was working so we got to take a journey on the train. Unfortuantely we were told upon entering that we weren't allowed to take pictures inside the gallery but I can say that the exhibition didn't disappoint. We were taken back in time and shown the different worlds of the Famous Five, The Secret Seven, Noddy, The Magic Faraway Tree and Malory Towers. With items to look at, to read and to play with, it was ideal for all ages, both adults and children. All staff were extremely helpful and very involved, mingling with all who were looking around. It was nice to see them as excited as the visitors about the display. My girls enjoyed sliding down the slide in the faraway tree and dressing up like school girls in Malory Towers. Elise, my eldest actually took herself off at one point and got herself comfy and sat reading one of Enid's Famous Five books. And of course they got the chance to drive Noddy's car, although I'd avoid the roads with Layla in the driving seat!! For myself I found all the facts to be found absolutely fascinating. There were old typescripts on display as well as original illustrations and photographs of Enid and her family, truly interesting. And I have to admit I didn't know that it was Enid Blyton who invented Noddy (you learn something new every day). I was surprised to see just how many books this clever lady had written over her lifetime. There was even a book that got discovered recently that never got published. This exhibition is brilliant for people who are already fans of Enid Blyton but also a great introduction to those who haven't had the chance to experience her stories yet. 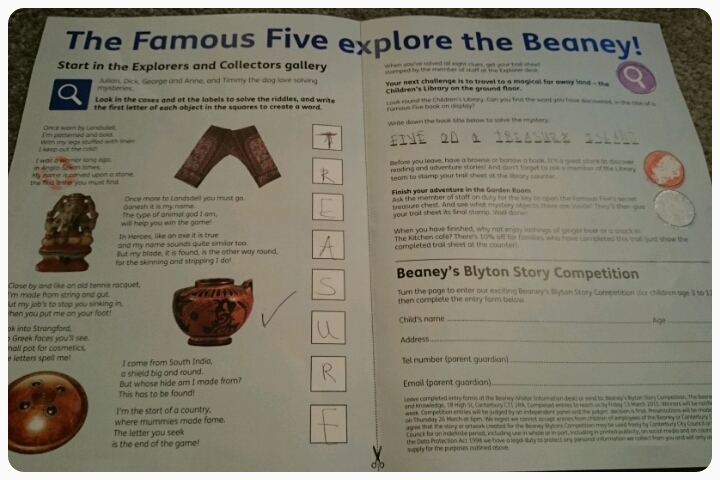 After we had walked around the exhibition (twice) we stopped for a refreshment break, tea cakes and ginger beer and this then gave the girls the energy to embark on a treasure trail around the museum, we were taken right round and became the Famous Five, exploring all the galleries. 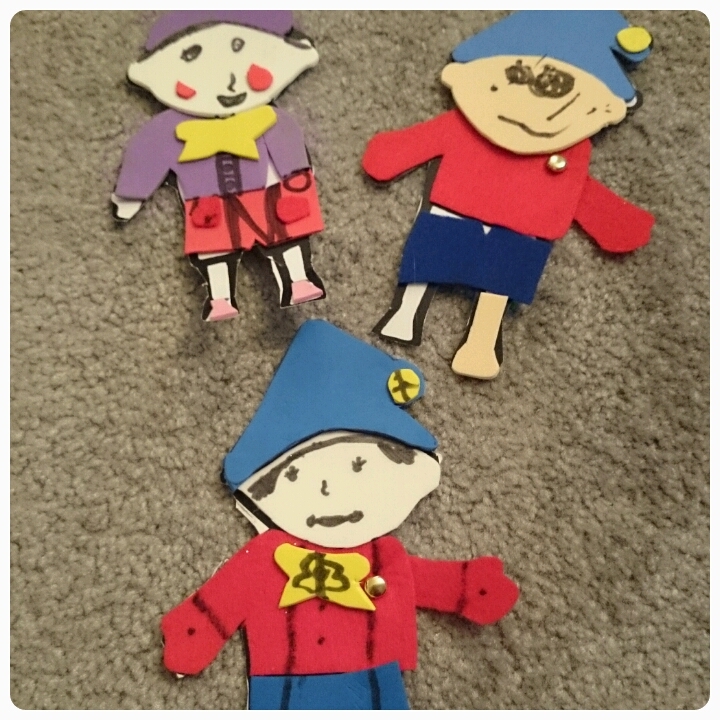 We stopped for a pitstop to make some Noddy's of our own. Again the were members of staff on hand offering help and they were great at finding extra chairs to accomodate myself, my mum and my children. This made the experience all the more enjoyable, a friendly, smiling face is always a positive! Now that I've found The Beaney, I will certainly be returning again as there is so much held inside this building to be discovered. With initial entry being free, it makes a great day out for the family. I'll be keeping an eye out for what special exhibitions are coming up in the future. This sounds so much fun - my daughter is still a bit young but I read probably 99% of her books when I was younger. What a lovely day out! Sounds like they've got some fab things to see and do.